rcb280z had the most liked content! Currently own a 77 280z 5 speed. Have owned since 1985. Muffler and rad at a later date, maybe? Just run it for a few seconds and then decide what to do for exh and rad. Just my 2 cents. rcb280z replied to mbz's topic in Help Me !! I agree with Zed Head on the 2-3 psi, needle is not on zero. I would get a new gauge Haha! mbz, Glad you posted that. 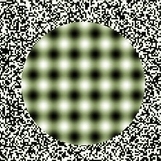 Optical illusion. I believe it was for an ash tray on the 2+2 versions, maybe? Just verified it's for an ash tray via my microfiche zKars is right. Yes I've been in it to adj. the clock spring CW to lean it a little. IIRC about 2 teeth is all it needed. Okay, I was thinking of a different AFM Zed Head. So ignore previous post. The one from MSA does have a label. A31-604-000 on the box and AFM. Sorry for late response, just getting back into town. There is no label on it. Neither of the 2 AFM's I bought from MSA have any type of identification. I will verify as soon as I can. That might be the Bars leak head gasket repair I've just looked at. I might try it.